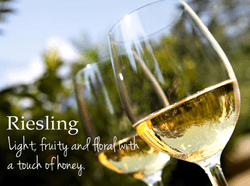 Riesling is a highly aromatic and fruity grape variety. It has been regarded as the greatest white wine grape for hundreds of years. It is both delicate and intense, crisp and juicy, floral and minerally, refreshing and complex, transparent and dense. It is a wine with a unique character and a vibrant personality. Under the Liquor Control Act 1988, it is an offence: To sell or supply liquor to a person under the age of 18 years on licensed or regulated premises; or For a person under the age of 18 years to purchase, or attempt to purchase, liquor on licensed or regulated premises.